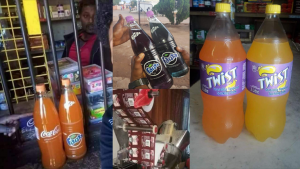 Gauteng Premier David Makhura has warned criminal syndicates and dodgy businesses that sell toxic food stuffs and counterfeit goods that they will be targeted. Makhura joined members of the police in several raids targeting crime hotspots in Ekurhuleni on the East Rand. During his State of the Province Address on Monday, Makhura indicated that measures would be put in place to help deal with the high levels of crime in the province. He says a number of wanted suspects were arrested on Friday morning alone. The post Makhura gives stern warning to “dodgy businesses” appeared first on SABC News – Breaking news, special reports, world, business, sport coverage of all South African current events. Africa's news leader..